Ubisoft has just announced the release date for Assassin’s Creed Identity, a new game in the popular series with a special twist. The latest game lets players completely customize their characters and will be available from February 25. Even though the company is not expected to release this year any major titles in the series for PC, PS4 or Xbox One, it seems that smaller games are scheduled. Ubisoft has worked with Blue Byte for Assassin’s Creed Identity which will be released at the end of the month on iOS devices. This is the first game to be featured on mobile devices. Ubisoft has not published many details regarding the different features or the gameplay of Assassin’s Creed Identity. 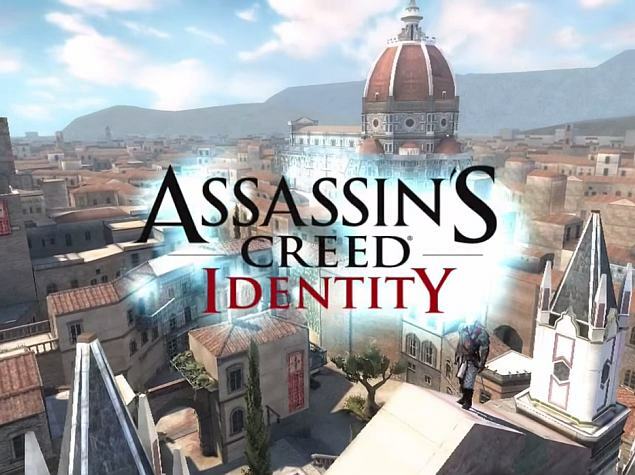 Assassin’s Creed Identity takes the player back to the Renaissance period in Italy, the same time and place as for the adventures of Ezio Auditore in the second and third installments with their respective sequels. The new game runs on the game engine named Unity 3D. The story is focused on solving a mystery “of the crows”. In order to do so, the player will create a new character that can be customized and can be part of different classes, including Thief, Shadow Blade, Berserker and Trickster. You start as a novice and evolve to become a Master Assassin. In order to navigate through the world, the game features a virtual joystick and tap-to-move controls. However, if you have a gamepad compatible with iOS devices you can also choose to use it. It seems more details will be revealed on February 3, as a Q&A will take place in order to explain special features for mobile gameplay. We can expect to receive more information on the process of bringing such a beloved franchise to Apple devices, as well as more info on how Unity 3D engine works. As for the early feedback, fans are not very pleased with the transition to mobile devices. Most of them believe that Ubisoft should focus on the main series, both for the gameplay and for the story. Serious gamers cannot really enjoy playing on light devices. The release date for Assassin’s Creed Identity is set for February 25 and the game will cost only $4.99. Should you wish to give it a try, you must keep in mind that you need at least a working iPad 3 or iPhone 5 (or later models) with an iOS 7 or higher operating system.